The Vortsman, having migrated from Yiddishkayt to the SoCal Arbeter Ring (Workmen’s Circle) and then gone missing, is back. As for the first, it’s that tortured matter of how to spell in English the just-concluded eight-day Festival of Light. What had The Vortsman raging, first, was that YIVO, the veritable Academy of Yiddish and early-adopter of an English transliteration standard of Yiddish, brutally betrayed said standard in its year-end fundraiser mailing. Emblazoned on the envelope was the wish for a happy “Chanuka”! Visions of Michele Bachmann saying “tsha-noo-ka” danced in his head, mixed-metaphorically. 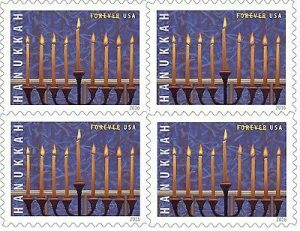 That doubled “k” in Hanukkah, we’ve been told, is meant to distinguish between the two k-like letters in the Hebrew alphabet: כּ and ק. Uh-huh. So what’s the excuse for the doubled “n” still seen in the best of Jewish newspapers? 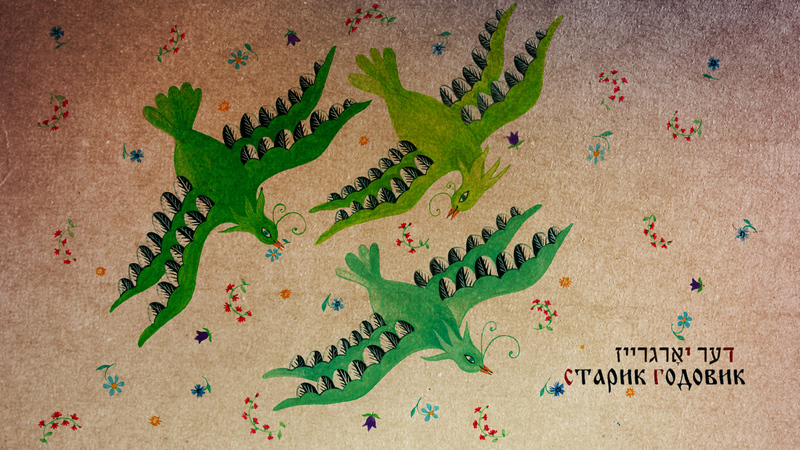 Fregt mir b’kheyrem (lit., ask me when I’m in excommunication — beats the hell out of me). Turning now to the second, somewhat esoteric matter: Yiddish-English translation and neologisms (newly made-up words). Der Vortsman, as some readers may know, is a professional (he gets paid real money) Yiddish-English/English-Yiddish translator (résumé available on request). 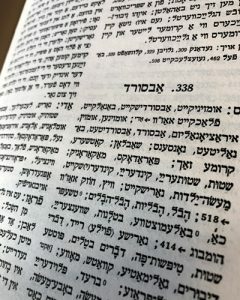 Still, unlike the unbelievably talented interpreters at the U.N. — who listen in one language and simultaneously speak in another — he is often at a loss encountering unfamiliar Yiddish words, as well as very many technical, legalistic English terms he hasn’t the slightest idea about how to render into Yiddish. 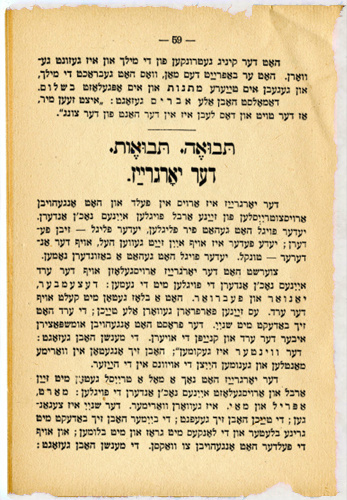 This problem arose recently when the Yiddishkayt’s recent MonsaMonster provided a link to a literary textbook for children in U.S. supplementary secular Yiddish schools (Der Onfanger — The Beginner), by Yankif Levin. It contains a story titled der yorgrayz, about a supernatural being who seems to control the turn of the seasons. Yorgrayz? Hey, dictionary-loaded shelf of mine, what does that mean? The shelf was silent; embarrassed, perhaps.